and silent auction. 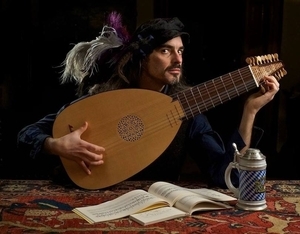 The music begins at 5:00 p.m.
and the plays of Carlo Goldoni. Lydia and Johan Pfeiffer’s home has a fascinating history. Known as Westland Mansion, it was home of Grover Cleveland, the 22ndand 24thPresident of the United States, from the time of his retirement from the presidency in 1897 until his death in 1908. During the last year of his second term in the White House he decided to retire to Princeton. Mrs. Cleveland apparently selected the house, which had been built in 1854 by Commodore Robert F. Stockton. Cleveland named it Westland in honor of a close friend and professor at Princeton University, Andrew F. West. 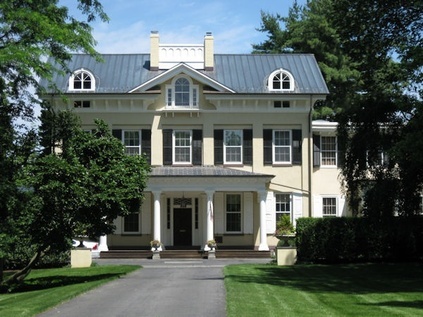 The elegant stone antebellum mansion was perfect for the active role the Cleveland family played in Princeton society. Although Cleveland never attended college himself, Princeton students frequently marched to the house to serenade him on his birthday or to celebrate victorious football games. Also known as the Grover Cleveland Home, it was designated as a National Historic Landmark in 1965. Please respond by noon on Friday, September 7th.